The furnishings and design of lobbies and public areas help to introduce the clinical experience. They are the welcome mat and the doorway for patients and their families. Yet, how often do we think of these portals to care and their furnishings as anything more than places to sit and pass some time? At DSGW, we are re-defining “waiting rooms” away from the generic spaces of old with magazines, a TV, and plants. We are seeking active and flexible settings serving the whole patient. 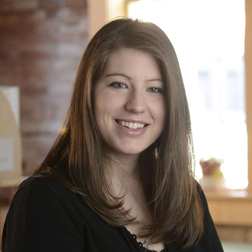 Nationwide, there is a drive to improve the attractiveness of healthcare entries and indoor public spaces. Competition and branding are two reasons for this new investment. But, providers should look beneath the gloss surface of fashionable updates to consider what patients really value. We believe that comfort, diversions, and experiential choices offered in waiting areas are strong differentiators for care providers. 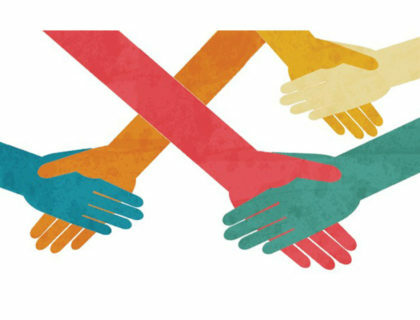 Such a focus on experience and well-being is also an essential part of patient-centered healthcare. The challenge is—how can we change the act of “waiting” in new and transformative ways? The needs of patients and their families vary—and so should the public spaces, interior design and furnishings that serve them. In fact, depending on the patient, the act of waiting can become some combination of— calming, child-friendly, enlivening, diverting, and healing. Although waiting areas will continue to be places to pause, the time spent there need not be wasted. Think of how a lobby in a hospitality venue has changed. Today they’ve become active areas for socializing, getting work done, and calling home. There may be high long tables, soft chair groupings and sometimes, even play areas. The waiting rooms in clinics have a faster turnover than hospitals. People come for many reasons, and they are diverse in age and background. Not every patient experiences every department, but everyone experiences the waiting room. Treating the whole patient means that patients and families should become as calm as possible after arriving. Waiting rooms are directly tied to the place where people register—a process that can sometimes take a few minutes. Thus, we also think about seating during the registration process. Here are some new ideas for waiting area design from our own recent work at a range of clinic types. From the choices of sanitary fabrics and finishes to lighting levels, each of these environments is medically-appropriate for all patients, yet each has distinct character, furnishings, and spaces. 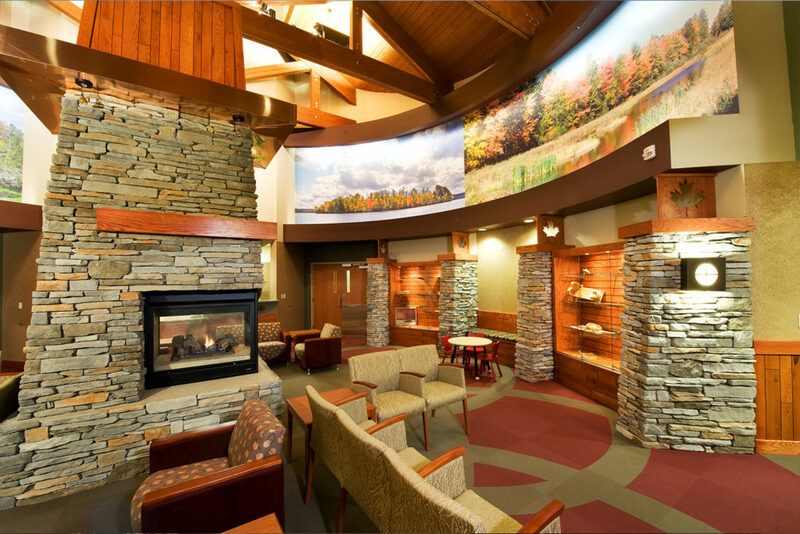 Panoramic landscape murals bring the calming effects of nature to the waiting experience at Peter Christensen Health Center in Lac du Flambeau, Wisconsin. 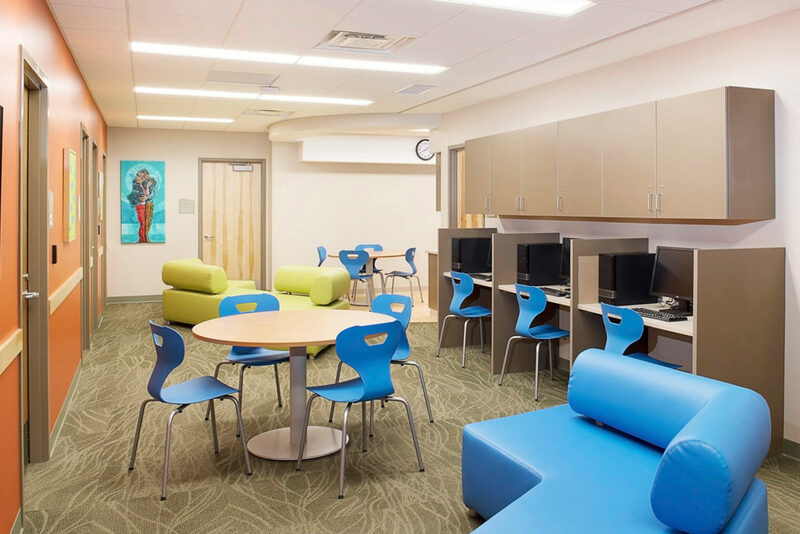 At Fond du Lac Center for American Indian Resources, DSGW chose furnishings to offer visitors a variety of options including lounge seating, table seating, computer stations. It’s a vibrant area for adolescents. 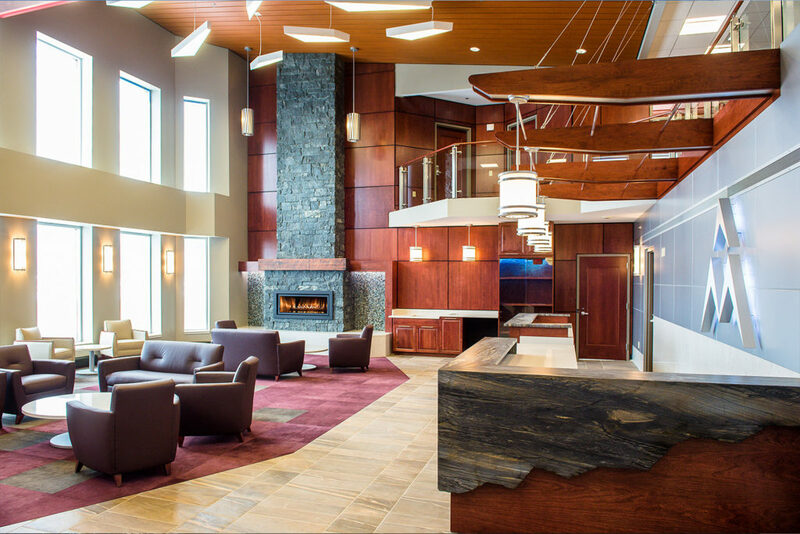 Healthcare lobby design can take a cue from the travel and lodging industry such as this warm and comfortable waiting lounge at the Monaco Air Fixed Base Operation in Duluth, Minnesota. When planning waiting and activity areas, we also consider how related spaces such as rooms for meeting with doctors, restrooms and even coat check areas can add to the overall experience. In larger clinics with more specialized services, we create multi-purpose spaces for community activities and engagement, which are also adjacent to waiting areas and near the main entry. 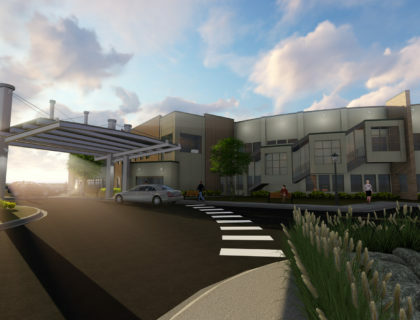 At the soon to be completed North Shore Health in Cook County, Minnesota, we designed a large waiting area with a curved hallway connecting it to the café/lounge, hospital and care center. The space also serves as a changing gallery welcoming visitors with local art work from the renowned Grand Marais Art Colony. Ultimately, healthcare and wellness must be tied to people and the places where they live. Clinical care in rural areas starts with learning how to live healthfully in the real world. Lobbies act as portals to that care.